Sometimes I find myself with a great idea, and the time to be creative, and then my result disappoints me! Or I get frustrated in the process. I start out with a great idea in my head – just to meet a piece of art I don’t like too much. For years I thought I was the only one experiencing this, until I read Ira Glass’ opinion. I think that this message from Ira Glass isn’t only limited to the creative industry. It can be applied to everyone who starts out in a new environment and is willing to improve. When I’m creative, I usually write, but sometimes I paint or do other things as well, mostly to my own amusement and relaxation. 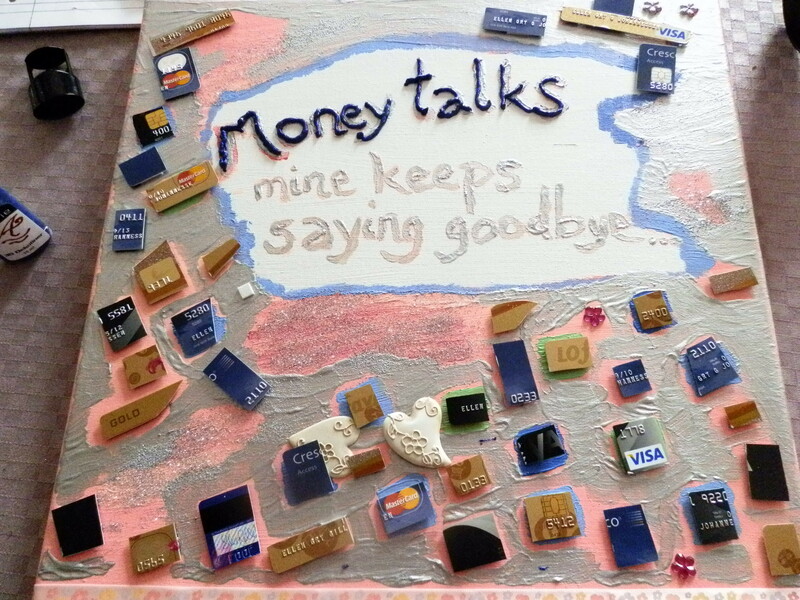 Some time ago I tried to be creative with the pieces of my shopping life. 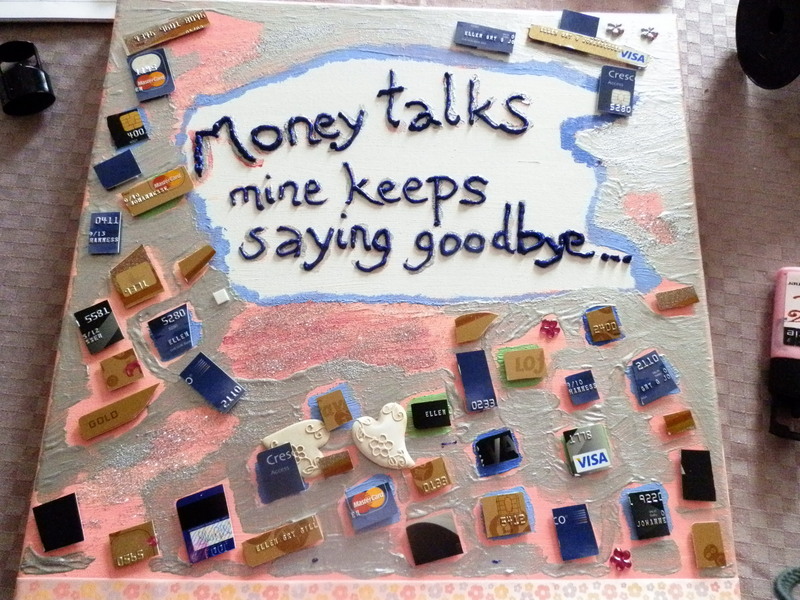 I had cut up all my credit cards and I included them in an on-going painting with a humorous statement. I thought the idea was brilliant. However, I didn’t quite like my painting. I had it on my wall for a couple of weeks, but I didn’t feel the resonance I need to get from my art or the things I put up on my walls. So I took it down, and forgot about it. Today I finally did something about it. I’ve always thought it was the background colour I couldn’t stand, it was pink, all right, but not the shopping pastel pink I was going for at the start of the work. 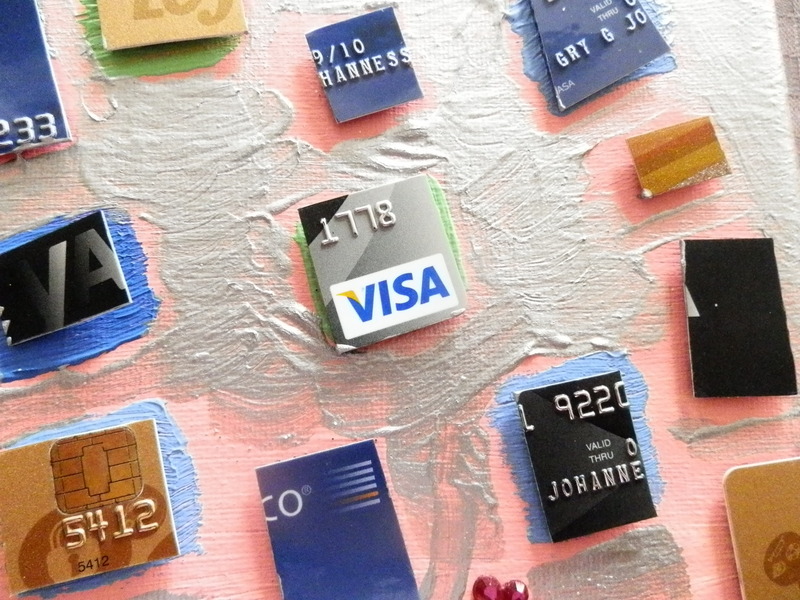 But I realized that I need the screaming pink background for my never – again- usable credit cards. By adding a dark blue sparkling paint on the silver letters, the statement popped out of my painting, and made my day. Adding some blue and pink hearts as well, and my painting got the right look and feeling. The final result is now on my wall, speaking to everybody that enters the room. 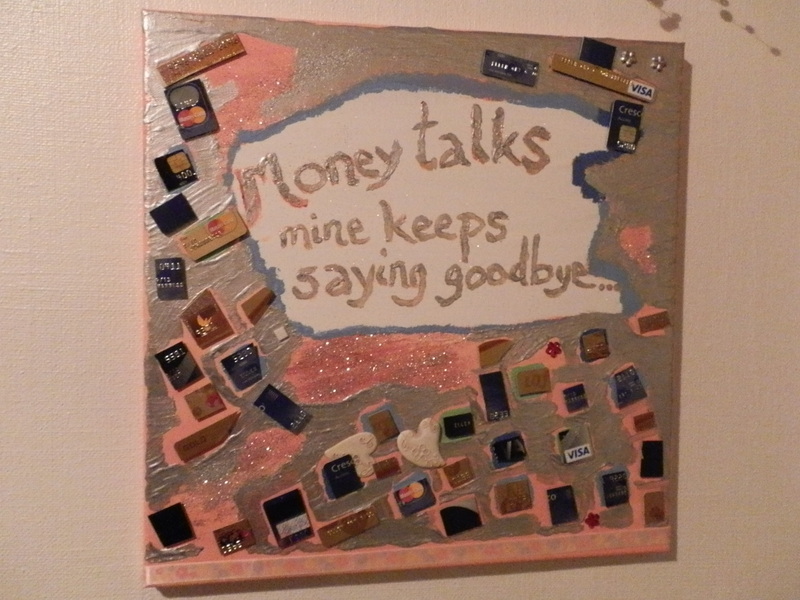 The reason I started working on this painting again, was also inspired of this cute little sign, which I know have placed under my painting, it was a present from one of my nephews and his girlfriend – I think they know me well.. 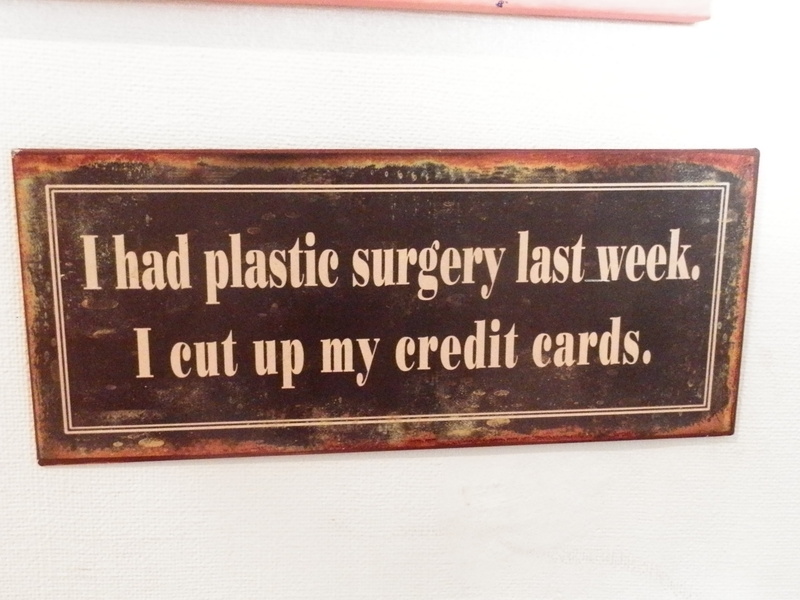 This other sign has been on my wall for some time. I think the three pieces complete one another now. Together, they speak my truth! One Mastercard.. and One Visa. Sometimes I find myself with a great idea, and the time to be creative, just to meet my piece of art not exactly to my liking. Sound’s odd? Or familiar? I tried to be creative with the pieces of my shopping life some time ago. 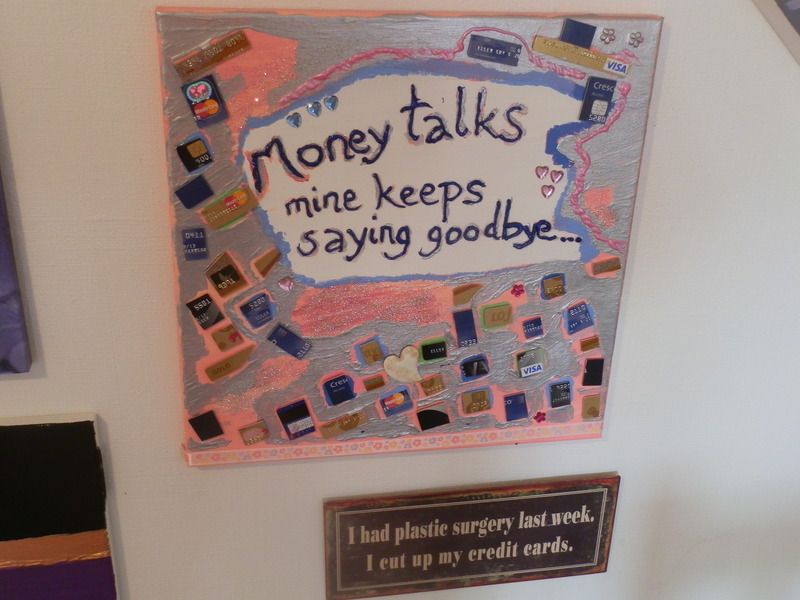 I had cut up all my credit cards and I included them in an on-going painting with a humorous statement. 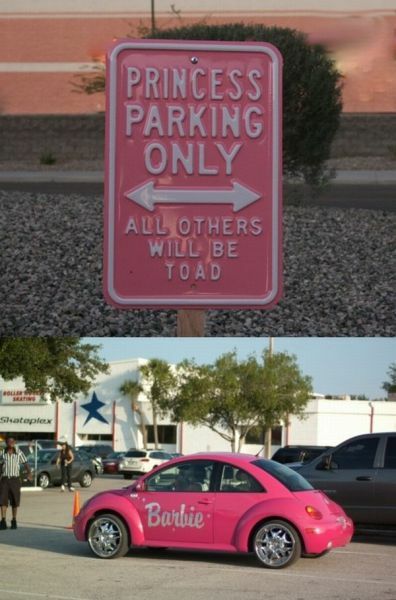 I thought the idea was brilliant. However, I didn’t quite like my painting. I had it on my wall for a couple of weeks, but I didn’t feel the resonance I need to get from my art. So I took it down, and forgot about it. Today I finally did something about it. I’ve always thought it was the background colour I couldn’t stand, it was pink, all right, but not the shopping pastel pink I was going for at the start of the work. 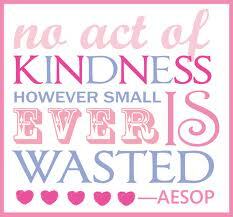 But I realized that I need the screaming pink background for my never – again- usable credit cards. 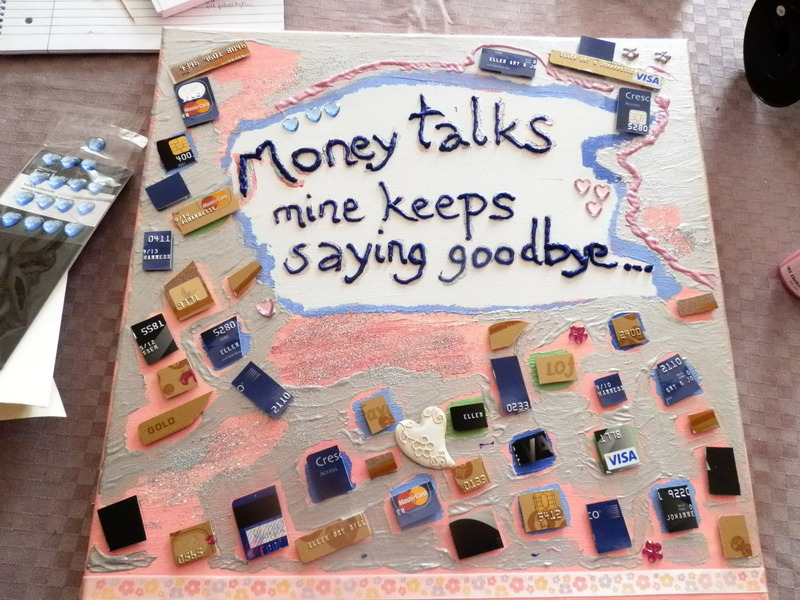 By adding a dark blue sparkling paint on the silver letters, the statement popped out of my painting, and made my day. The reason I started working on this painting again, was also inspired of this cute little sign, which I know have placed under my painting. 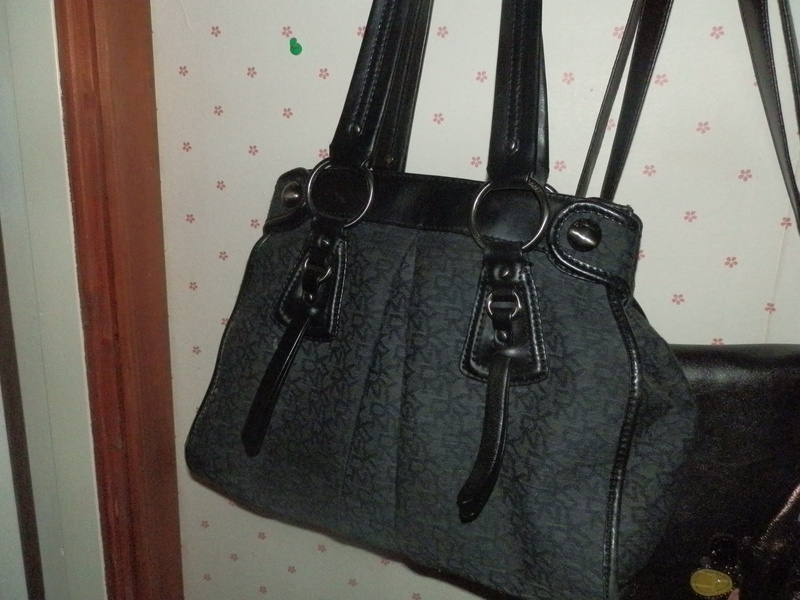 My Lifelong Passion for Handbags! I admit it: When it comes to bags, I am a shopaholic. And maybe when it comes to shoes, as well, and accessories, and …… But that will be themes for later blog post. 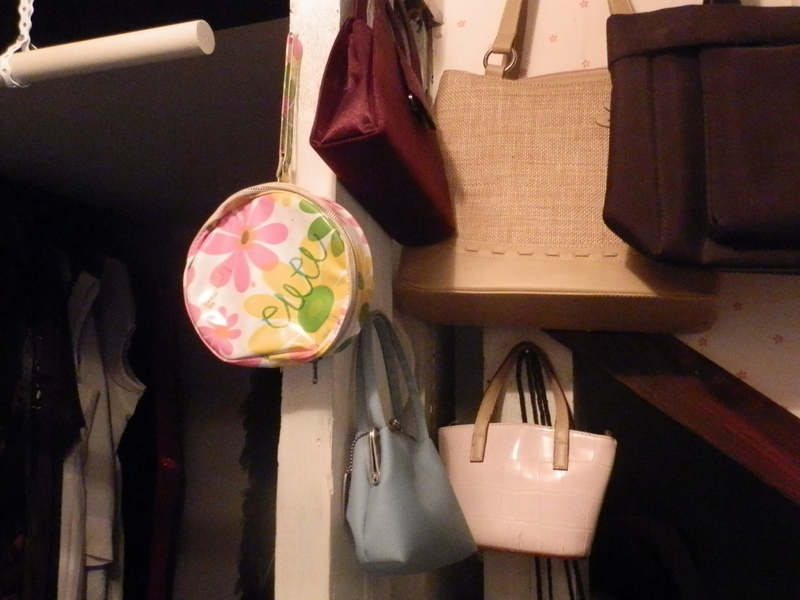 Now, I don’t think that any of my brothers would have tried to take my bag, and my sister probably had one on her own, but I really think that I was around the age of tree, when I discovered the joy of possessing multiple handbags! I don’t usually buy that large handbags for myself, I like them a little bit smaller. (And I don’t have four children, my bags are all for me only) I have some of them, though, and they are great for a couple of days and useful for weekends away. 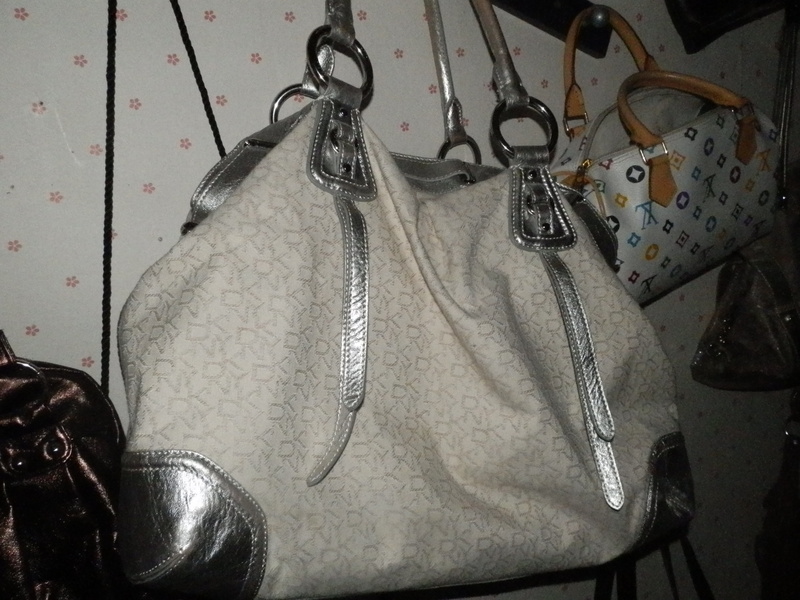 My favourite is the white Donna Karan bag, which is one of the few designer bags that I own. 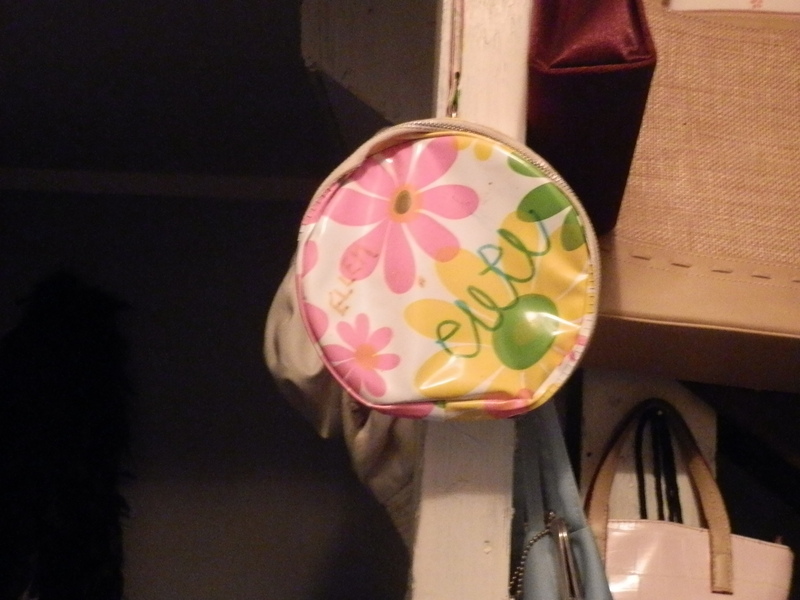 A handbag can of course be a fashion statement, and is that for most of us, at one or several points in our lives. 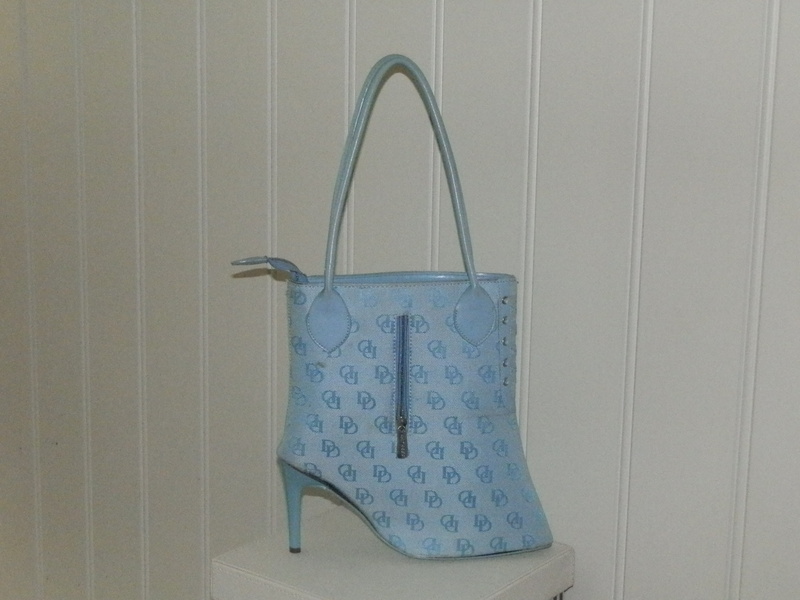 I still feel the thrill when I dust off my first designer bag I bought at the age of fifteen. Having said that, I must admit, that for me there is so much more to the love of handbags and I’ve never been so particular focused at those designer handbags. This is of course also due to economy and the fact that I see so many bags that I just love, and feel the need to buy. It’s a choice, if you want to buy multiple handbags, you cannot buy only designer handbags. My handbags are my souvenirs. 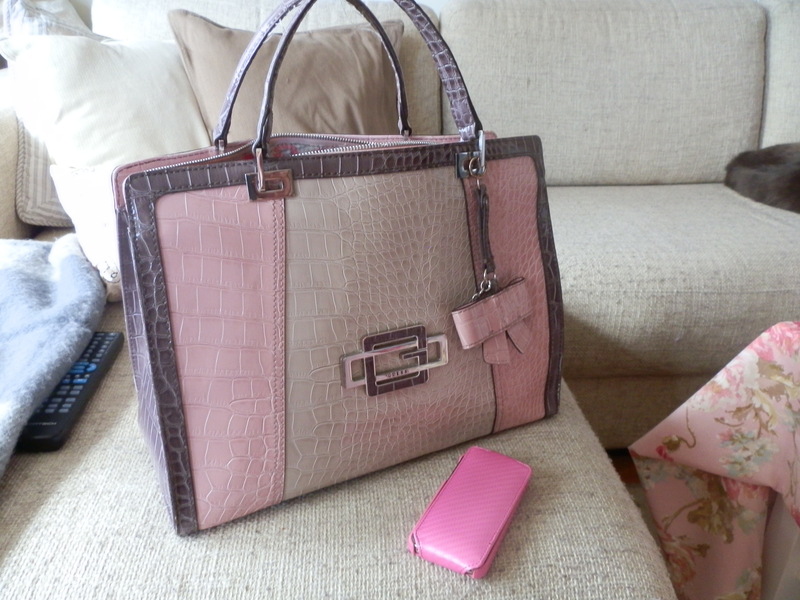 Whenever I travel, I always end up buying a new handbag, and very often I don’t restrict myself to the one. That’s why I came home with eight bags from Dublin, and five from Rome. Using handbags as souvenirs is brilliant. Whenever I use my blue big bag from Copenhagen, I think of all the fun I had there, and when I see my summarily multiple colour bag from Athen I think of the day we spent there before going off sailing for two weeks. 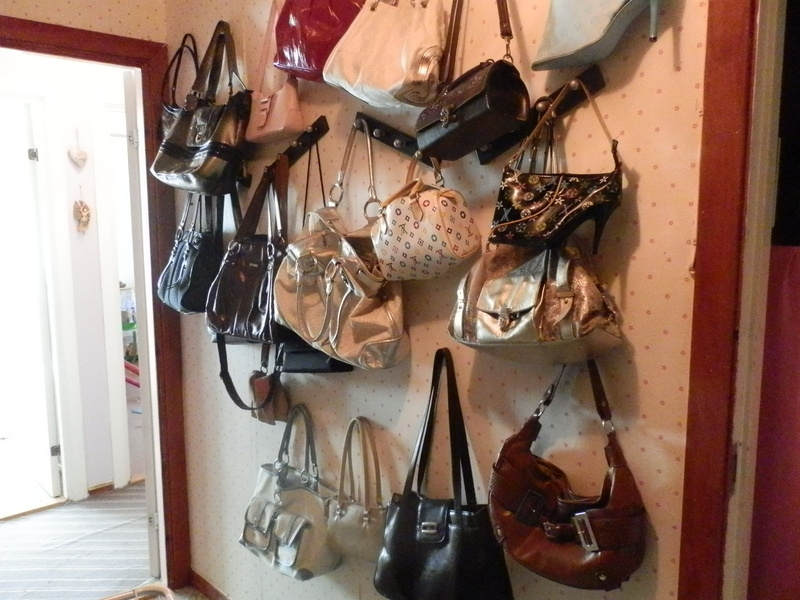 Shopping for handbags abroad also prevent me from having the same handbags that everybody else have. They become a part of my unique style, and not everybody would feel comfortable carrying all of my bags. 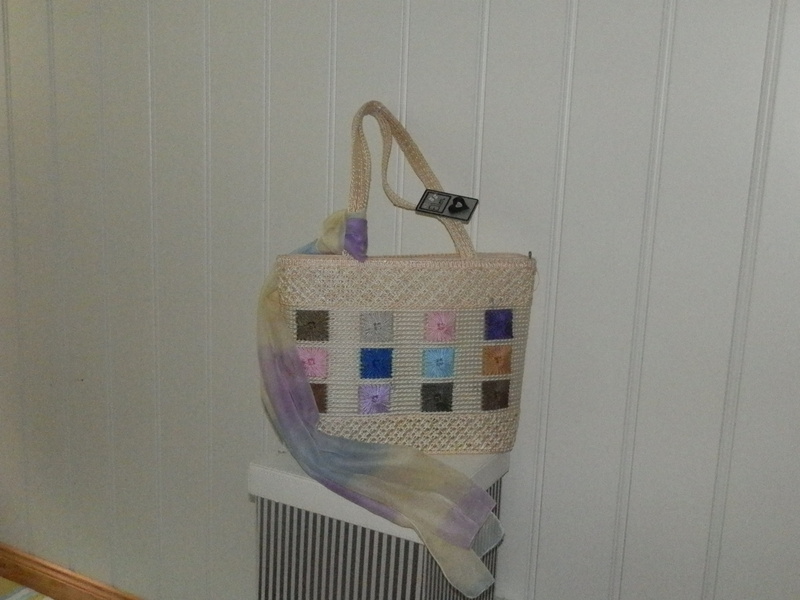 My first shoe bag is from Paris. I love it, and I’ve used it in several weddings and small handbag occasions. 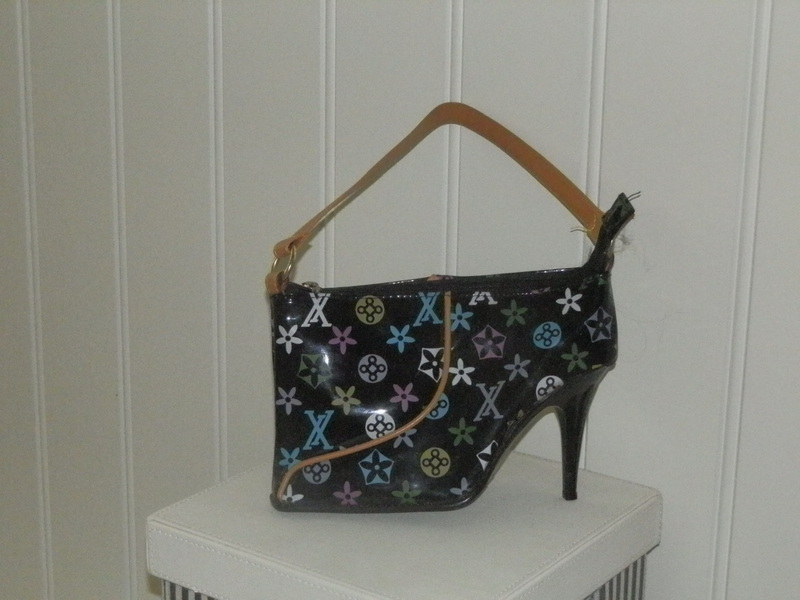 I found my second shoe hand bag in Dublin, and yes, I have the matching pumps. 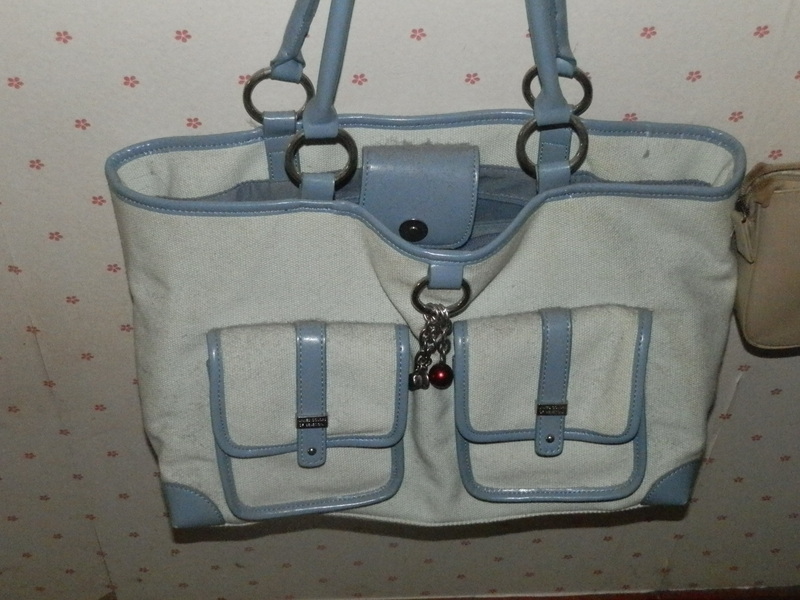 My all-time favourite special handbag was also bought in Paris, not by me, but for me. 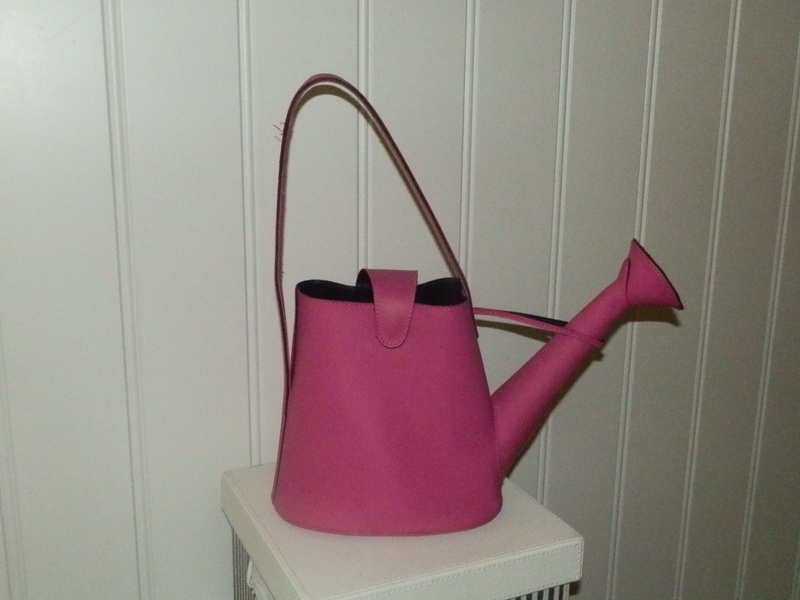 My good friend Vegar, carillonist and shopping lover, saw this pink handbag in Paris several years ago, and bought it to me. 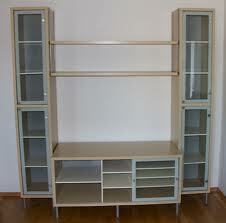 The first time I ever used it, was when he had his carillon diploma concert at the City Hall of Oslo. It’s not an everyday bag, this I pull out for those special occasions. 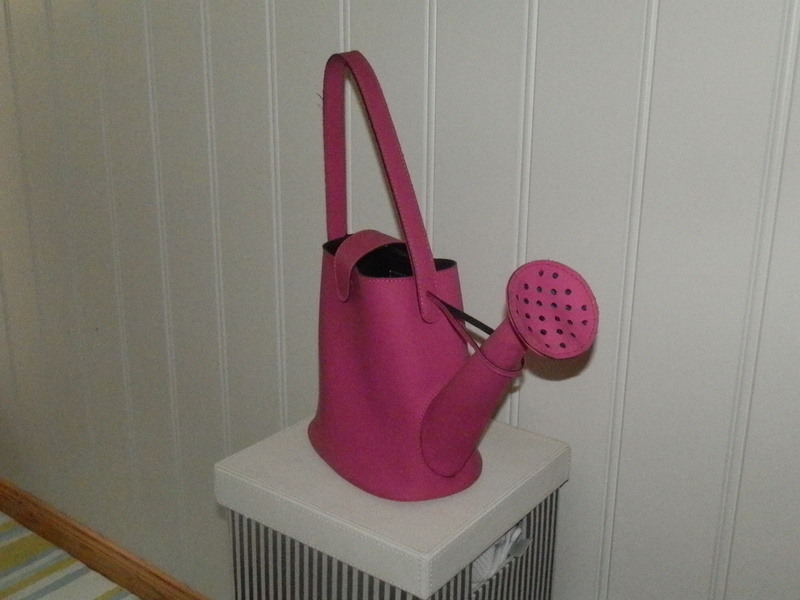 Since we still are in summer season, my bag de jour is my pink Guess bag, and so it has been for weeks. I love it, and it’s just the right size for my life as it is, right now. My passion for beautiful and unique handbags has taken me on some crazy shopping trips, and I wouldn’t have missed out on any of those occasions. 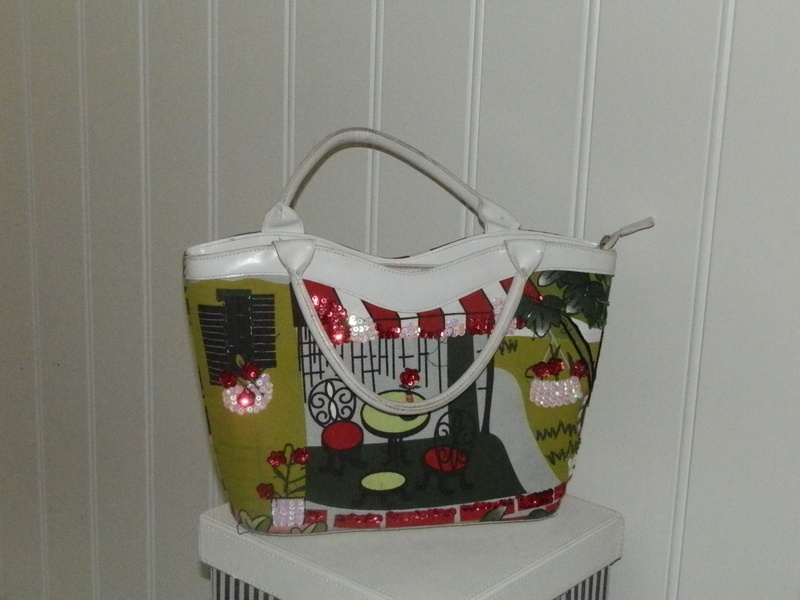 And tips on the road, if you see a great handbag on your vacation, buy it! Or you might continue your life thinking of the one you left behind. It’s still summer, isn’t it? 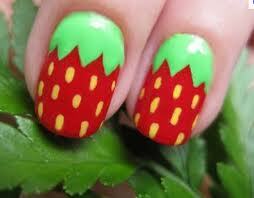 Nail art for the season. 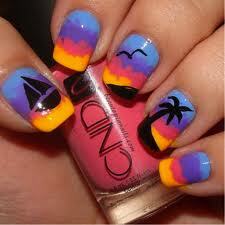 There is nothing that can get me in a greater summer mood than great nail art. 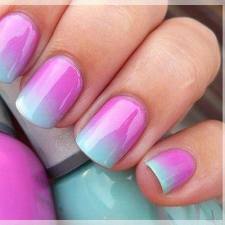 Today I found some old photos of my nails, done by professionals… The first photo shows my nails done in Benidorm, Spain. It was years ago, but wow, I still think they were great! The second photo is actually from my visit to Egypt, a couple of years ago. Also a favourite. 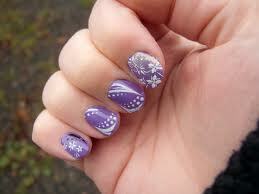 Today I met a woman with great nail art, and I just stopped her and complimented her. 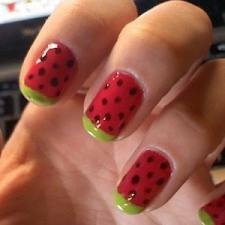 (I thought on my random act of kindness project, as well…) They were done as watermelons, and I’ve never seen this in real life. They were great. Thanks for the inspiration, Olivia, and all others who like to keep the summer on the tip of your fingers. Today I spend the day at Hillestad Gallery – I have guests from France and with unstable weather conditions, we decided to explore the fairy tale place in the Norwegian woods. Hillestad offers something for the whole family, from artistic pursuits to activities for those who want to get outdoors in the inspiringly beautiful scenery or play in the adventure playground. 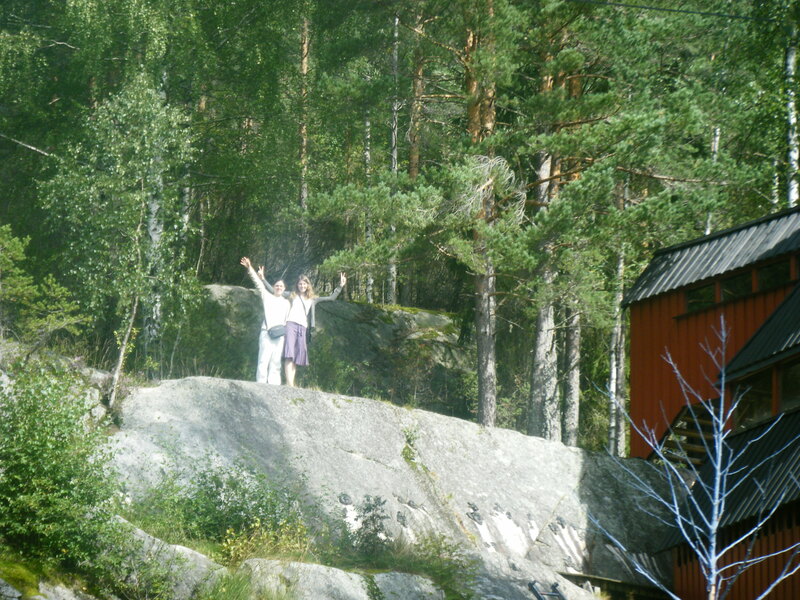 It is also possible to swim in the river Tovdalselva, or go hiking high up in the mountains. We chose to visit the Gallery today, and I was so impressed of the exquisite art and jewelry. 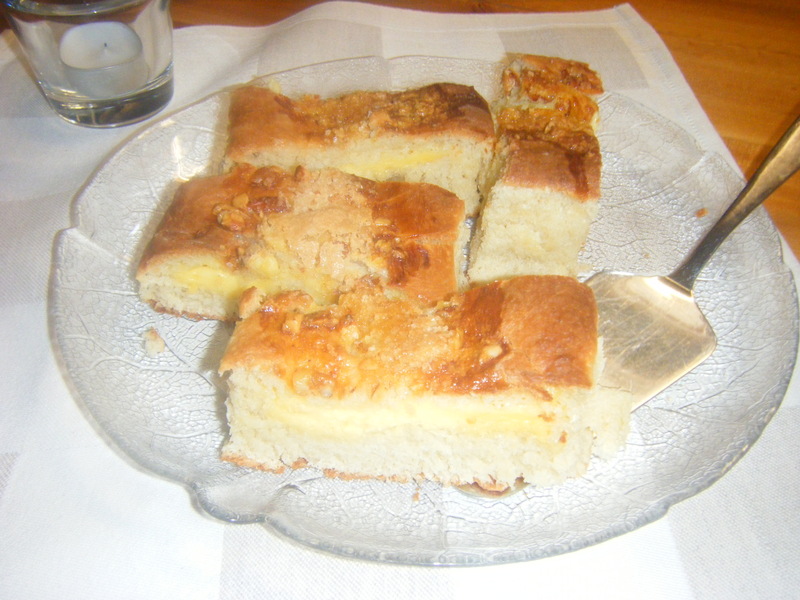 And so was my guest. Hillestad Gallery opened in 1985. 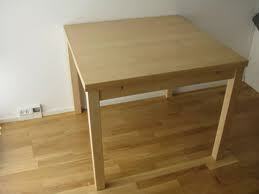 Since then, many of Norway’s most well-known artists have had individual expeditions there. The entire range of Hillestad jewelry is on display and for sale. The Gallery was fascinating, both for my guests and myself. We took the time to enjoy the exhibitions, and I made a purchase also. Now there is a beautiful pink glass angel on my wall, and I’m totally in love with my new art object. After enjoying ourselves inside, we took a little hike outdoor, in the very typically Norwegian surroundings. We could have stayed longer, but the weather conditions gave us a raison to check out the café at the Gallery. And we were not disappointed. It is never wrong with a cup of coffee, and joined by Hillestad famous yeast pastry, filled with delicious egg cream, we were in heaven! The Summer exhibition with the artists Rolf Nerli, Tor-Arne Moen, Åshild Karevoll is still on, but in few days the Gallery will introduce the autumn exhibition, with Torild A Fossnes, Olga Grimsmo Nilsen, Scott Aaneby, Ståle Blæsterdalen and Vegard Stalsberg. 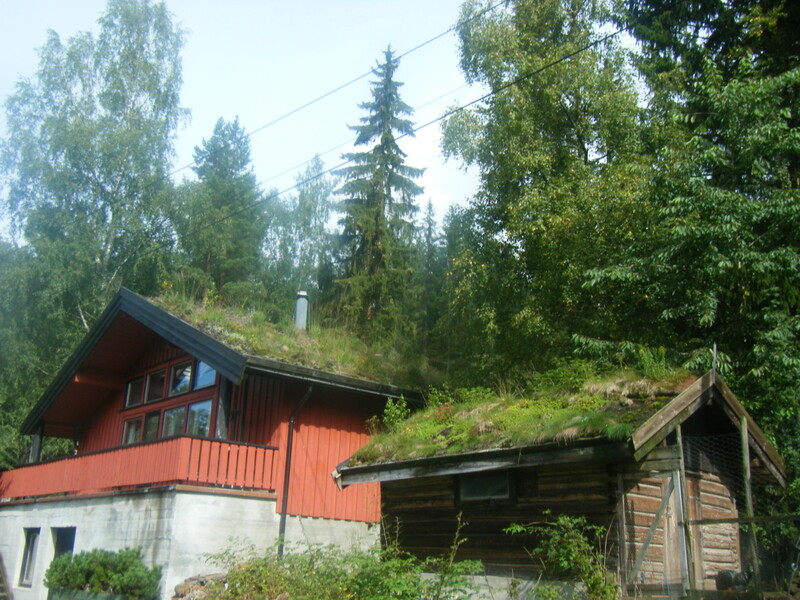 I probably have to return to Hillestad in September. It’s no secret that I’m a big fan of Sophie Kinsella, and I got my copy of her newest book earlier this summer. 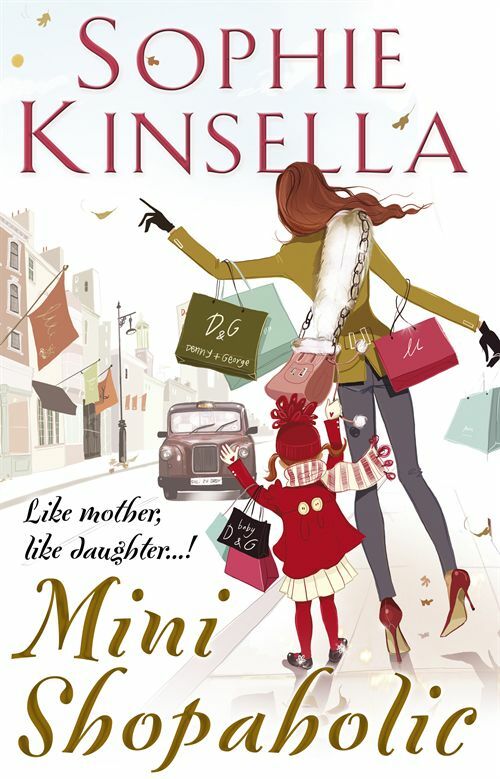 Mini Shopaholic is the sixth book in Kinsella’s wildly popular Shopaholic series, following the books The Confessions of a Shopaholic, Shopaholic Takes Manhattan, Shopaholic Ties the Knot, Shopaholic and Sister, and Shopaholic and Baby. I must say, my absolute favorite is the book called Shopaholic and Sister! Still, have you ever been to a shop together with a to-year old? Have you ever imagined going downtown with a to-year old? Read the book! And laugh! It’s very good English, and it’s very light reading. It was what I needed yesterday, and what you need if you are already thinking about autumn, winter, and stressing around,,,, No one makes me laugh as Becky Brandon, née Blomwood. It’s shopping time, and now, they are two!